The teaching resources on DoMathTogether were created by the 2012 STPAT Summer Institute. The resources were created by teacher-led projects focusing on ready-for-the-classroom materials that engage students and make teachers’ work more efficient. This activity allows students to start exploring what college they may attend in the future. They will research what colleges match their interests, compare the costs of three different schools, create their own dorm room, and begin a dialogue with their parents about their future. There are a lot of questions that need to be answered prior to ever taking off for college. Research says the earlier you start looking and preparing, the more likely it is that you will be successful in your academic career; which means more success in your chosen career. So let’s get started. You must keep a daily log (form provided), of your task list, workshops requested and workshops attended. This should also include grades from ALL skills checks. Brain exploration: Create and share with me on GoogleDocs a paper that explains what you want to study. You should research and list three schools that offer this plan of study. You should include name and SPECIFIC location of these schools. Cost comparison. You must create two graphs (also in Excel) that compare costs. The first should compare costs between the three schools that you choose. The second should compare costs of your first choice and two other students choices. 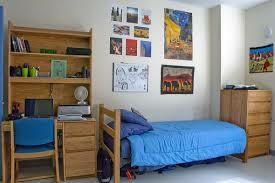 You must download a floor plan for your chosen dorm room or apartment (or any other living space you come up with. This can be from the school you are researching or an example that you find. You must use “scale” to determine square footage of this space, transfer that drawing to graph paper, then “furnish” it with scale size furniture. These must be labeled with size and cost. You must create a budget. What would it cost for you to live at the school where you have chosen to go. You must develop an application portfolio. This should include a record of your past grades, school transcripts so far, an autobiographical paper, and anything else a college might need for application. (a sample application would be excellent. FINALLY, you must write a letter to your older self, explaining the work you have done and the reasons you have made the choices you have made. Students participate in a project where they design their own dorm room. They also are given a budget to buy items such as bedding and decorations to bring to personalize their room. (B) estimate and find solutions to application problems involving proportional relationships such as similarity, scaling, unit costs, and related measurement units. (B) estimate and find solutions to application problems involving percents and other proportional relationships such as similarity and rates. What are ratios and proportions? How are they used to create scaled drawings in architecture? How do you find the area of two dimensional figures including rectangles, trapezoids, shapes and composite figures? You are to design an Aquarium floor plan. Include the pools, tanks, and other displays listed, plus any that you personally want to add. Arrange all the tanks against the walls. The circular pools or tanks need to be placed in the middle of the floor plan. Parameters of the Project including calculation page which can be modified for different learners. Proportional Smilies: Which of these smilies are proportional? Introduction to Geometry: this activity will allow students to interact with the formula chart for basic 2D shape formulas that they will need to complete the problem. This rubric will be shared with students at the beginning of the activity. The teacher will refer to the criteria as they facilitate the students working through this problem. How are percent used in advertising? How do you calculate percent change (increase or decrease)? Are these percentages ever misleading? Do they show bias? Where do advertisers get their information from? Students will research how percents are used in advertising. They can focus on one of the following: political campaigns (ex: percents involving unemployment, crime, deficit/spending, poverty), advertising for food products (ex: reduced fat, reduced sugar) or advertising products with percent increase (value size, family size), credit card/loan interest rates. Students will be asked to focus on ways that the advertising is potentially biased/deceiving as well as how the percentages are calculated and whether they are accurate. Students will do a presentation to the class on their findings. They can do an oral report with visual aids of their choosing or create their own advertisement showing the results of their findings. Groups will also create their own ad demonstrating their knowledge of how to calculate percent change. In addition to internet research, students will be encouraged to take a trip to the grocery store and explore the advertising on packages. They could request materials from political candidates, explore what comes in their mailboxes as well as watch commercials at home with a more critical eye. Students will help develop the rubric based on the TEKS. Students who meet the standard of the TEK will receive a B. Students will establish with the teacher facilitating what A level work, C level work, and F level work would look like. They will create specific descriptors to fill in each box.